We can announce it … and We are very "Glad" to introduce the "Exclusive" re-interpretation of the Extraordinary diva's : Gioia Bruno with the title " Why Did you call me " Ready & Selected the last official remixes for this 2016 ! Quality Soulful & Deep House Music . Original version & All Tracks Written by Gioia Bruno (sesac), Dario Igor (gema), Mr Bords (gema) by Mix2inside ( aka Bordin Stefano & Dario Igor ) for Pret A' Porter Music Recordings Lyric Written and performed by Gioia Bruno Additional production & remix by Johnny Costa aka Fabio Fiorin (Switzerland ) & Joluma Remixer (Italy ) for Pret A Porter Music Recordings – Recorded @ Flowers House studio - Saint-Sulpice (Switzerland) Additional production & remix by JOLUMA Remixer (Italy ) for Pret A Porter Music Recordings – recorded @Fazenda studio (Scanzorosciate – Bergamo (Italy) – Keyboards by Davide Rossi. Dear House Music Lovers, finally available the new release that contains the remixes signed by Barbary & Johnny Costa ,of the great Vocal of Joyce Y. Written by Mr.Bords - Joyce Elaine Yuille - Dario Igor Additional production & remix by Johnny Costa aka Fabio Fiorin (Switzerland ) & Barbary Remixer (St. Petersburg – Russian Federation ) Aka Anna G. for mix2inside & Pret A Porter Music Recordings REALLY SPECIAL THANKS & RESPECT TO : BARBARY, ANNA GUDIMA, FABIO FIORIN (JOHNNY COSTA DJ) by mix2inside Crew !!!! thank you !!!!! Totally PURE HOUSE ….. the bomb for the dancefloor… two tracks on Ibiza Style ! finally available also in digital downloads, the new Essential Soul collection (vol.3) on label Pret A Porter Music, by Mix2inside Records. .
House divas, Azania,Gioia Bruno,Joyce Elaine Yuille,Wndy lewis , Natasha Lew, Jade Watts, Zahra, ect ect & mix2inside present You ( vocal by Pepper Mashay ) with the remix by Pagany & Aruduini , and Fabio Tosti & Logicalgroove feat Savio Vurchio, faz feat V ducros (Someday), ….and More Others…. Contains Soulful, Vocal house, funky club uplifting collection.. in Extended Versions, Not Mixed perfect for the dj's & All Quality-House Music Lovers. Finally Ready & available in Add ons the GREAT & Amazing Song R&B Funk/Soul style , by the super talented Azania! 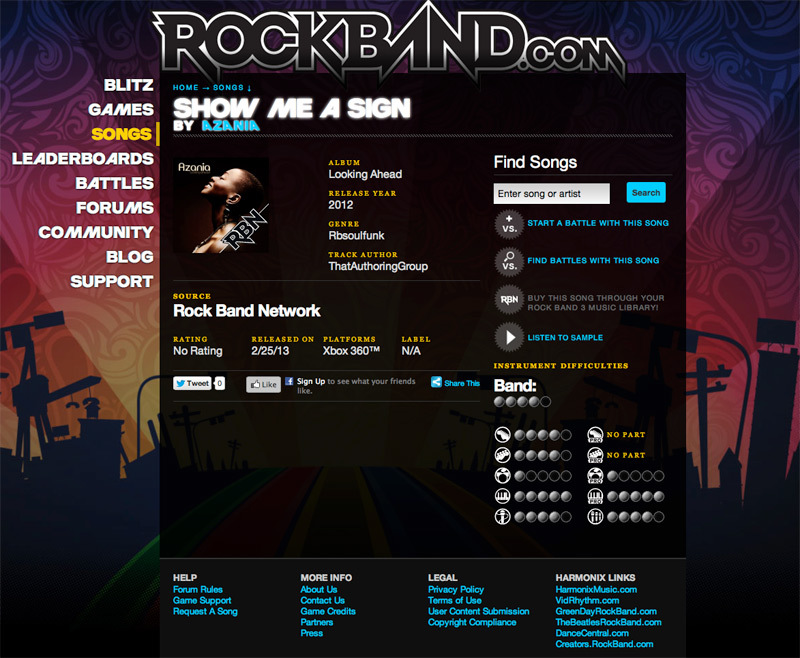 © HArmonix Music Systems Inc. The original project is Born with the Name : Mix2inside & Zahra present “Show me a Sign” on Mix2inside Records the part.1 & on Pret A’ Porter Music Recordings the part 2. It was already licensed in various territory as UK & U.S.A, but again continues the excellent results even with this realization. Soon Available news versions tracks , … style Soulful, Deep House .... and More- other………… included in the Official Remixes part.3… Now At Work ! Contains 11 great quality tracks …. And with pleasure contains also the track Mix2inside present You in the Fabio Tosti Classic Mix. Available on Cd distributed by self.it & Digital Download..
Mix2inside Tribute & Collection compilation, now for the first time ever as digital download edition. The Mixed compilation A Tribute to Mix2inside is the fine selection of the most successful productions from Pret A Porter Music catalogue. Available in Advance this compilation in digital downloads, the new mixed by Gopheller Dj on label Pret A Porter Music, by Mix2inside Records. Again the quality music-selections that contains differents successful titles released.. Thanks to Randy Nader ( NGI Group International ) Music (California-Usa) & the Extraordinary Divas "Gioia Bruno" ......Finally is Available the new Re- Interpretation 2011 of the great title : "Why did you call me" Is a Perfect package that contains news five tracks remixes, ... for the all Dance- Floors , on Hight Quality Music. Contains the Special International Remixes by Martino Dario, Dj Groove, Paul Raw and Mr Bords@Mix2inside tracks... genre Soulful , Funky Deep Vocal House......... the release is a Prefect and precisely what's required to kick-start the New Season! Mastered by Wim Bult @ Inlinemastering Studios, Netherlands Engineered by Bordin Stefano and Dario Igor, at Mix2inside Crew. Contains also the title made by Mix2inside crew… : Mix2inside Feat Sandhi Santini - Wanna Fly (Mr. Bords Soul Spocken ) remixed by Mix2inside (aka Bordin S. & Dario I.) for Pret-A’-Porter music.! Again Together the producers Mr Bords & Dario Igor for Pret A’Porter Music recordings first release of 2011, ..another Really Great Re-interpetration & arrangiaments for this release , with the Vocal By the Extrordinary & Legendary accapella of Pepper Mashay. Featuring great mixes from Fabio Tosti, Arduini & Pagany and original Mix2inside tracks… genre Soulful , Funky & Vocal by Pepper MashayHouse , package is a Prefect and precisely what's required to kick-start the New Year! Great collection under Ospina, a must have for house heads! 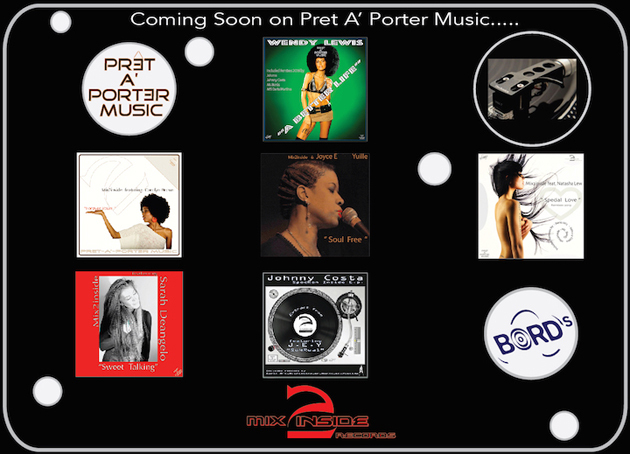 Pret-A'-Porter Music is a division Label & Trademark of Mix2inside Records. Mix2inside special thanks to the producer Dario Martino …. Thanks for the production! Yes... Welcome 2010 .... Start with the great new Release in “house” Pret A’ Porter music, ...present the mix2inside feat. Sandhi Santini “Wanna Fly” – The release in 4 News tracks remixes & interpretation, on very Quality Music productions. Mastered @ Bord's music Entertainment. Bord's & Pret A Porter Music Recordings is a division and trademark’s of Mix2inside Records. After the Great Response of the Vol.1 ,...Again Thanks To ALL for the support !..... finally available also in digital downloads, the new Essential Soul collection (vol.2) on label Pret A Porter Music, by Mix2inside Records. Again the quality music-selections with this follow Up that contains the some titles releases of the vol.1 but in and the alternative Versions - remixes , and news releases. Included remixes by Luis radio, Matteo Ionescu, Johnny Costa Dj, Ciko dj, & JJ Stockholm, Mr Bords , Mix2inside aka Bordin Stefano & Dario Igor, ect ect....... 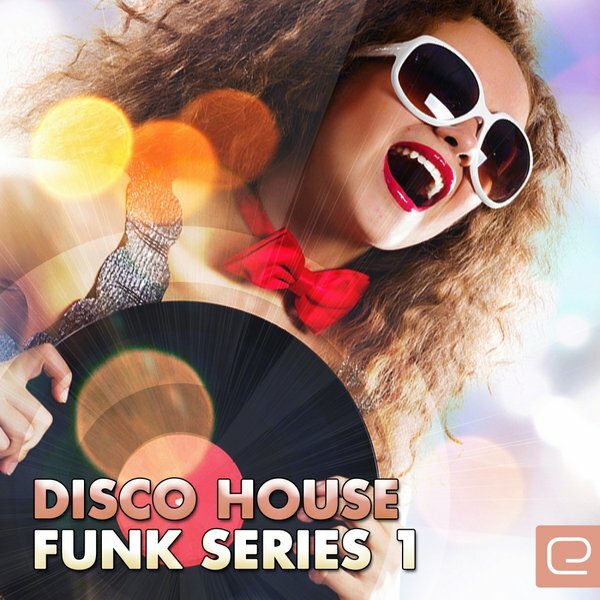 Contains Soulful, Vocal house, funky club uplifting collection.. in Extended Versions, Not Mixed perfect for the dj's & All Quality-House Music Lovers. Mix2inside Feat. Joyce Elaine Yuille "My Best Thing WMC 2009 rmx"
Publishing Brioche Srl Edizioni Music. Pret A Porter Music is a Division label & trademark of Mix2inside Records . Mix2inside Feat. Janette Taylor " Move Up"
Finally Out Available this great Release !!!!!!!!!!!! Soon also in Vinyl 12” inch ! 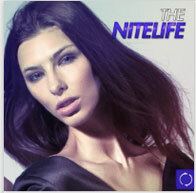 Again Top Quality Soulful & Vocal House Music for the really House Music Lovers. Various interpretation of the Divas' Janette Taylor , with the alternative remixes for all Dance floor!! Live guitar by Nick Manzan, Live Bass by JeanPierre Zanette, Live sax by Julien (MC) , Keys & Strings by Mix2inside Crew. Additional production & remix for the tracks Glamour Vox & Soul Groovy by Mr Bords Music at Mix2inside Studio. Written, Mixed & Produced by J.Jomoa, C.Beck, and J.Brown. Now Available the “Super compilation” of the first Class “House Quality Music” mixed by the talent Samuele Sartini Dj, & More Other Various International Hits…. 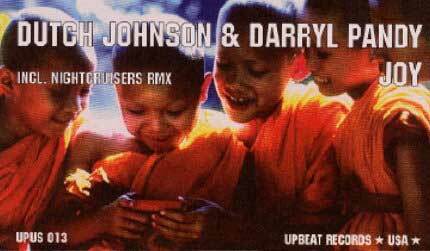 Contains also two titles made by Mix2inside crew… : “I Like That Like it ” Jb Experience (vocal by Jocelyn Brown) remixed by Mix2inside, & the featuring Wendy Lewis “A better Life “ Produced by Mix2inside (aka Bordin S. & Dario I.) 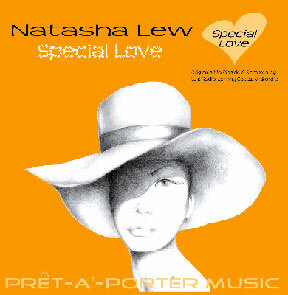 for Pret-A’-Porter music.! 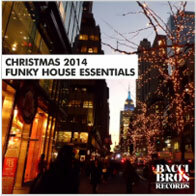 Faz feat V. Ducros “Someday” included remix by Mix2inside Very Nice compilation funky, soulful & urban house tunes…. Another release Now ready with the Remixes signed by Mix 2 Inside Crew supply a great remix on Distar records. Exclusive News Tracks by The Mix 2 Inside Crew:Faz feat V. Ducros' 2007 WMC Miami burner Someday. The first Quality selection from the productions by Mix2inside records & Pret A Porter Music on 12” quality vocal productions, in Extended Version, Not Mixed perfect for the DJ & all House music Lovers ! 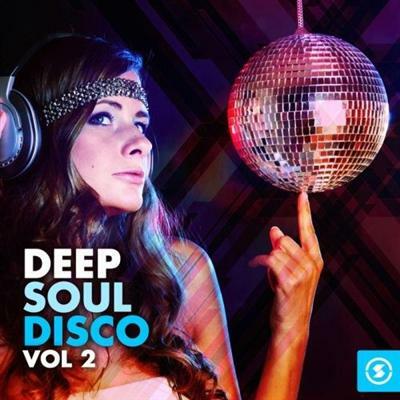 Vol 1 in this uplifting collection of Soul and House tracks. Finally Ready & Available the New Compilation by MoveYa records perfect for your “Cardio Hearts”…. Step Experience Club Groove Summer 2007 . Really Great project & Collaboration with the Friends from Hollywood-California (Usa) .. The Perry Twins feat. Jania “ Activate my Body “ – Is a Special release of the “Top Class House Music” in differents versions-tracks perfect for all Dancefloor! The Package release Included also 8,00 Min of Infinity Soul re-Mix2inside Crew…. Reverve now your copy ! YES !!!!!!! Finally Ready also in Vinyl 12 Inch on Pret A Porter Music recordings, the New Great production and release: JB Experience “ I Like it Like That “ with the vocal By Jocelyn Brown, remixed by Mix2inside team…..
Is a Diamond in the Pret A’ Porter music House Tunes !! Available in Vinyl 12” inch in Exclusive distribution by Topplers sarl (Paris-France) Don’t miss it !!!!!!!!!! Superlative double compilation from Dame+Music (Spain)…. Now Available. Contains also the title : “Why Did you call me ” feat. Gioia Bruno, (soulful Fly mix2inside version) Produced by Mix2inside (aka Bordin S. & Dario I.) for Pret-A’-Porter music.! Reserved Via Traxsource "Digital Download" ..... Special Edition for the next "WMC Miami 2007"
Another New Great collaboration among the teams "Mix2inside & Bs Traxx Records/ Bmp Productions Staff…finally ready in BS Traxx Records , the new project of " Ellectrika”- Title: Sunflower; the Vinyl12" contains various special versions.... and Included also the Track remixed by Mix2inside " Drink Pool re-mix2inside- OUT NOW. H2o Sensations present the New dvd video of “ Images de Voiles “ …… and more Music-tracks from Mix2inside is included for this Dvd “Video release“…………. (Mix2inside Vs. Johnny Costa feat. Jade Watts “ is Not Over” /Gioia Bruno & Mix2inside “ Why did You call Me “ rmx 2007 /Mix2inside “ Ohh baby “ (bords in Paris rmx). License by Mix2inside Records to H2o Sensations . The release Part.1 –contains 4 different mixes/Remixes , by Mix2inside Crew, + Blind sensation rmx + matteo Ionescu……….. perfect for Your dancefloor ………will explode!! Is a gem in the Pret A’ Porter music House Tunes !! (Paris-France) & also available in digital downloads to : www.traxsource.com & www.Xpressbeats.com ……….Don’t miss it !!!!!!!!!! Avaiable the news selection from CdPool by Lewis Dene (Uk). Double cd compilation " CDPOOL MAY 2007 , that included two the projects by Mix2inside records - "Why Did you call Me" feat. Gioia Bruno ( Soulful Fly Vox mix2inside version ) & Mix2inside feat Jade Watts “ Is Not Over” ( Houte couture mix2inside version)……………. Perfect for all Dj's of the World. NOW AVAILABLE also in Vinyl mix 12 inc....... another Great release from the Label “Pret A’ Porter Music recordings “ ( cat.no Mxi012/P ). Johnny Costa (Flower) VS Mix2inside Feat.Jade Watts “ Is Not Over “. Published by Brioche Snc – © Pret A Porter Music (p) Mix2inside Records. Special Promo available in Advance for “digital Downloads” for Another Classic House-Soulful tunes… signed Mix2inside feat. Carolyn Brown. This compilation contains “ A Better Life “ feat. Wendy Lewis, in the new extended version "seventy first class mix"
Really Great compilation dedicated for the "Real Lovers of the House & Quality soulful music" Selected & mixed by Samuele Sartini @ Madonna di Campiglio (Italy)............ " Superlative "
It is the first collaboration Italo-French, among the Teams Blind Sensation / Bmp Productions and Mix2inside........ the result: " Great Production"
In Bs Traxx Records (France), the project will be ready soon feat. Shunga Mention. A project that will have different versions but all High Class. ..... another selection that included only the "Best" Titles of the House Music. 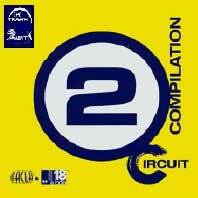 The Track one of cd 1 : Mix2inside feat. Wendy Lewis " A better Life "
Mix2inside R.E.D. Unreleased Rmxs, Exclusive new Bumpin & Thumpin Rmx's by Dj R.e.d. from Atlanta's- Giorgia (Usa)..... contains My Best Thing feat. Joyce Elaine Yuille & Show me a sign feat.Zahra . A Fresh Selection, with only international "Hits." Included also the Mix2inside Track , feat. Wendy Lewis " A Better Life ", by Pret A Porter Music. The next month,...... finally ready in Equal records , the new project of high quality " Sabrina Johnston " - Title: SPIRIT 12" contains various special versions.... and Included also the Track remixed by Mix2inside " Intro Vocal reprise " - OUT NOW. Deep Swing " I promise You "
Extraordinary beginning year in the" House" Mix2insides, continue the beautiful satisfactions ! From 1 March is available the Really Elegant and refined selection for this really beautiful " Gay Happening Vol.12 compilation " , included also "mix2inside feat. 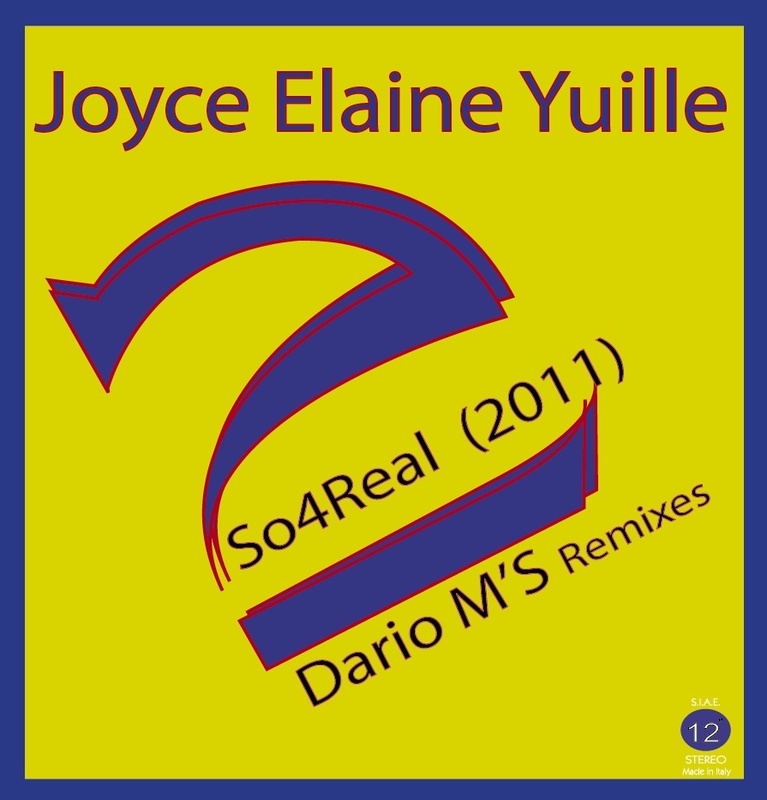 Joyce Elaine Yuille " So4Real " Part.2 remix - with the version track by Matteo Ionescu "Sad mix" Perfect cd.... recommended -........ Contains exclusive for your Pc video-clip "Wild Thang"
Is a Selection from the Great Company " Cd Pool " from UK ...... Perfect for all Dj's of the World. Ohh Baby "Mr.Bords in Paris"
"Heaven must be missing an Angel"
Mix2inside feat. 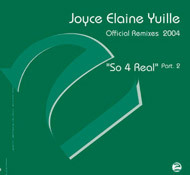 Joyce Elaine Yuille "So 4 Real - Part. 2 "
Mix2inside feat. Wendy Lewis "A Better Life"
Mix2inside & Zahra "Show me a sign" Bumpin' City Vinyl 12"
Mix2inside feat. Joyce Elaine Yuille "My best thing"
Mix2inside feat. Carolyn Brown "Where is the love"
The New Great compilation by Global net label (Italy) devoded of the "House Music" included from mix2inside "Where is the Love " Feat.Carolyn Brown ....... and more great Title ! ... in the best music store with "start" 07 july 2003 . Club House Session Vol.1 "La Maison Blanche"
The New excelent compilation from BS Traxx (France) selected and Mixed by Blind Sensation & le Compe Manu. included from mix2inside "so 4 real" feat. Joyce e. Yuille & "Black Betty" ....... and more excelent title.... Great Production ! Solsonik feat. Sharon May Linn " Till the Daylight "
of the project Solsonik feat. Sharon May Linn " Till the Daylight "
The double Pack 2x12" also contains the tracks remix by: Stonebridge,The Cop and the Escape committee. Is a courtesy license Cosmonote Blue. Joyce E. Yuille "So 4 Real"
Dutch Johnson & Darryl Pandy "JOY"
Mix2inside feat. Joyce Elaine Yuille " So 4 Real "
Jazz and Soul by night - 7'00"
Original Club mix2inside - 7'45"
Tribal Spoken Inside mix - 5'45"
Mr. Bord's full Vocal Mix - 6'50"
Sugar Babies " Forgive & Forget "
Another insertion of the remix made by Mix2Inside in the compilation "Circuit2 Compilation" from K-traxx of the project Black Masses "Give it all U got". 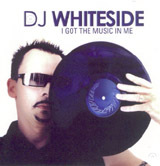 The beginning of the year starts well with another insertion of the remix made by Mix2Inside in the compilation "I got the music in me " mixed by DJ Whiteside from TBA of the project "So 4 real" feat Joyce Elaine Yuille. Limited edition TEST vinyl 12"
On the occasion of the Production n.100 of the known and well-established Airplane Records, that is producing the best artists and hits in the world, getting higher and higher in many charts in the world (suffice it to think of the recent DB Boulevard or Moony that have been remixed by the best teams of producers like Milk& Sugar, Full Intention and Robbie Riviera), They will celebrate with the release of a really exclusive case that will contain n.5 records with only one track per side. The packet and the contents will be a great surprise. The only thing that won't be a surprise is the excellent production of the tracks. The case in limited edition will be distributed first of all with a highly selected mailing list to the best djs and producers of the whole world. The only thing we can anticipate is that among the productions contained in the case, there will be the new project Mass Syndicate entitled «Deeper love». The marvellous task of doing the remix has been given to the well-estableshed Mix2Inside team, which proposes a vocal track in american style with fantastic sonorities and arrangements and makes use of the excellent Live Bass of N.Sipja, Live Guitar of Nick M. and the Live Strings of Igor D. A great opportunity offered to Mix2Inside by Enrico Delaiti of the Airplane team, which proposes various styles together with other labels like Q Point and Train. Mix2Inside are pleased to have begun another excellent collaboration and advise to look for and find this product. For a great occasion you alwais need excellent music! Zahra "Show me a sign"
The Mix2Inside label continues this 2002 in the most positive way thanks also to its new Zahra project "Show me a sign". Its distribution has just been started by Global-Net (Naples) - Italy. After the selling of the licence for UK and even before the printing of the promotional records, Mix2Inside have concluded and signed another very important agreement by selling the licence of this production for the USA to Bumpin' City Records - Chicago. Bordin S. & Dario I. Thank all those who are supporting their products in all ways. Zahra - "Show me a sign"
We r glad to inform u that Reelhouse records bought the license 4 UK of our "Zahra - Show me a sign"... remixers' identity is still top-secret...!!! well... is sounds very good, don't u think?? A project of great melody and taste, where the music reminds of something with an unmistakable style of the Seventies and a more than excellent vocal performance of the brilliant singer Zahra, who is also the composer of the text. For those who will find the test, it will surely be a great surprise. thanks zahra for the performance! Mix2inside announce that they are starting their first collaboration with Cosmonote Records with a remix of the nice House project which for the moment is entitled Till the Daylight feat. Sharon May linn, produced by Soulsonic, where most of the arrangements have been played live. Besides the remix of the vocal track, which is being done by Mix2inside, the project will contain various remix versions, among which the ones by M&J Project for Dub, by The Cop 4 and 2 by Stone Bridge, besides the nice original track. It is expected to come out on COSMONOTE BLUE Records in May with a 2x12. Mix2Inside announce that, to everybodys surprise, their remix version: Alternative Mix of Black Masses Give it all U got , written by A. Brown and C. Anderson and appeared recently on Ep. K-Traxx (KX008), has come out again. 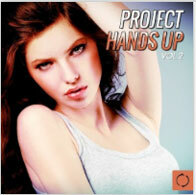 In the logo side you can find 2 wonderful tracks of Gonna Get Right Up by Moreno Pezzolato. Thank-you to everyone and compliments to Pezzolato. The beginning of the year starts well with another insertion of the remix made by Mix2Inside in the compilation House 1000% from Zyx of the project whitegate sung by the as good as ever Darryl Pandy. Mix2Inside and M&J project "the melody"
Mix2Inside are tackling their remix track "the melody" that they are making in collaboration with M&J project; a piece which will have three versions (instrumental, vocal and Dub) that play with a melodic sample, that reminds without doubt of the eventies, but of great effect, cleverly found out by Majestic Dj. A project to be danced from beginning to end that will contain a wild Dub by M&J project.